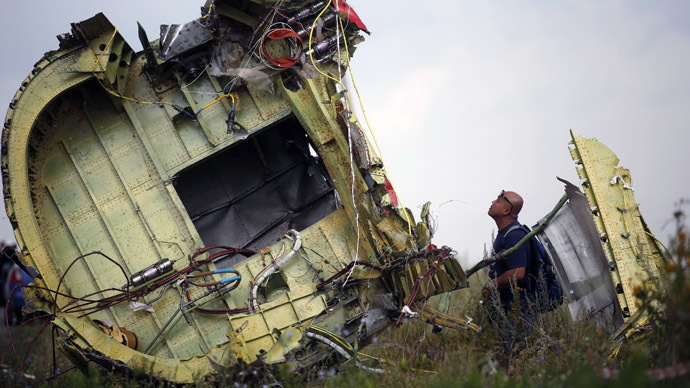 The Ukrainian military has several batteries of Buk surface-to-air missile systems with at least 27 launchers, capable of bringing down high-flying jets, in the Donetsk region where the Malaysian passenger plane crashed, Russian Defense Ministry said. “According to the Russian Defense Ministry information, units of the Armed Forces of Ukraine located in the crash-site are equipped with anti-aircraft missile systems of "Buk-M1” ... These complexes in their tactical and technical characteristics are capable of detecting air targets at ranges of up to 160 kilometers and hit them at full altitude range at a distance of over 30 kilometers,” the ministry’s statement reads as cited by Ria. Earlier, Itar-Tass and Interfax news agencies were citing a source familiar with the issue, who said that another battery of Buk systems is currently being prepared for shipment to Donetsk region from the Ukrainian city of Kharkov. The Donetsk region remains the scene of heavy fighting between government troops and the forces of the opposition, which refused to recognize the regime change in Kiev and demand federalization. 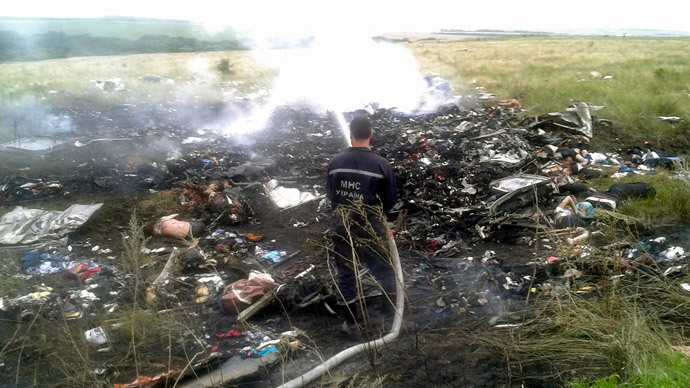 A Malaysian Airlines aircraft en route from Amsterdam to Malaysia crashed in Eastern Ukraine – not far from the Russian border – on Thursday. 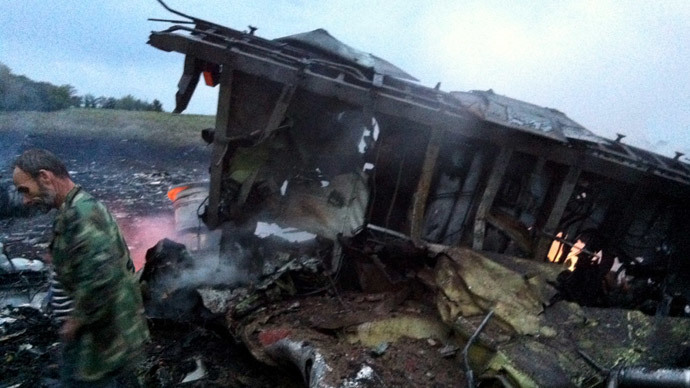 There were reportedly 283 people and 15 crew members on board the Boeing-777 plane, who reportedly all died in the crash. There were unconfirmed reports the Malaysian plane was travelling at an altitude of over 10,000 meters when it was allegedly hit by a missile. There’s no way that the self-defense forces in Donetsk Region are in possession of such complex weaponry, he stressed. Only S-300 and Buk surface-to-air missile systems are capable of hitting targets at such altitude, the source said. Buk is a family of self-propelled, medium-range surface-to-air missile systems developed by the former USSR and Russia to engage targets at an engagement altitude of 11,000-25,000 meters depending on the model. Chances are high that the Malaysian plane was really downed by the Ukrainian anti-aircraft defense, Yury Karash, pilot and aviation expert, told RT. “I don’t know who could’ve shot it down. But I can allege that it was most likely the Ukrainian armed forces: simply because its military – anti-aircraft defense, in particular – are, unfortunately, unqualified. As judging by the overall state of the Ukrainian armed forces, insufficient attention has been paid to their training,” Karash added. 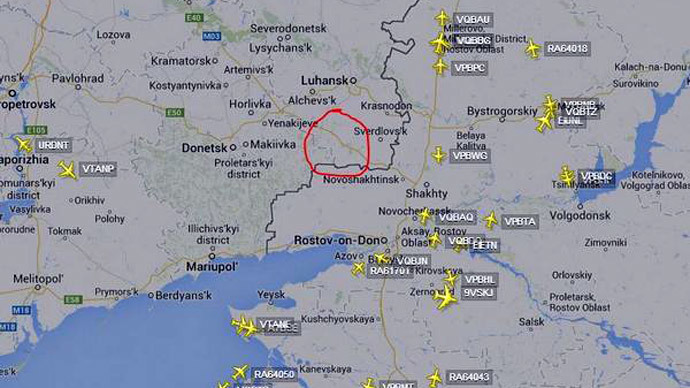 Reports in the Western media hurried to blame the self-defense forces of the People’s Republic of Donetsk for bringing the plane down. The claims were denied by the representatives of the Donetsk People’s Republic, saying that it’s the Ukrainian military, which destroyed the aircraft. “We simply don’t have such air defense systems. Our man-portable air defense systems have a firing range 3,000 - 4,000 meters. The Boeing was flying at a much higher altitude,” Sergey Kavtaradze, special representative for the prime minister of the Donetsk People’s Republic, explained. Kavtaradze also expressed condolences to the relatives of all of those who lost their lives in the tragedy. IHS Jane’s Defense analyst, Nick de Larrinaga, also shared the belief that the self-defense forces lack the capability to bring the Malaysian plane down. “At normal cruising altitude a civilian passenger aircraft would be out of the range of the sort of manned portable air (defense) systems that we have seen proliferate in rebel hands in east Ukraine,” he said in a statement. 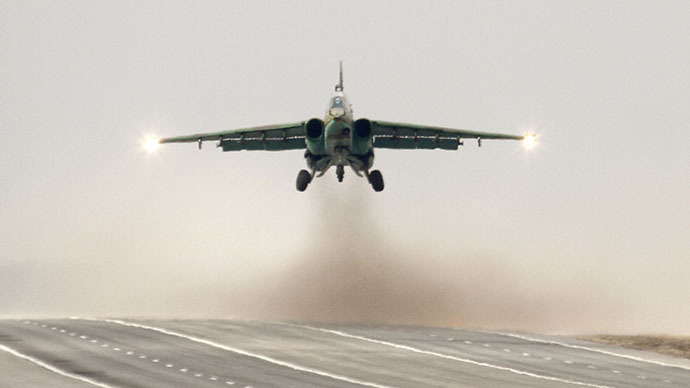 But the aircraft would be within range of Buk or other medium-range surface-to-air missile systems, he stressed. “Both Russia and Ukraine have such SAM systems in their inventories,” the expert added.